Are you still interested in coming to study in the UK this September? There is still time to apply! Richard Wittsfrom De Montfort University will be visiting; Lagos, Ibadan and Abuja from 20th-24th August to meet with you! De Montfort University (DMU) are offering £3,000 discounts to Nigerian students enrolling in September! 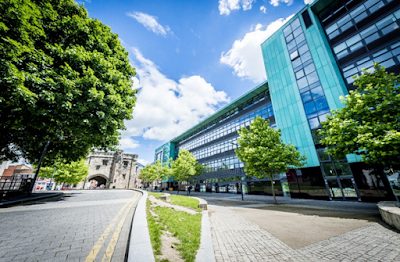 DMUis a world top 3% university* located in the city of Leicester, an hour from London.Our entry requirements are flexible and we have places available on courses in Business, Finance, Law, Pharmacy, Biomedical Science, Engineering, Computing, Architecture and many more. We look forward to meeting you in Nigeria.